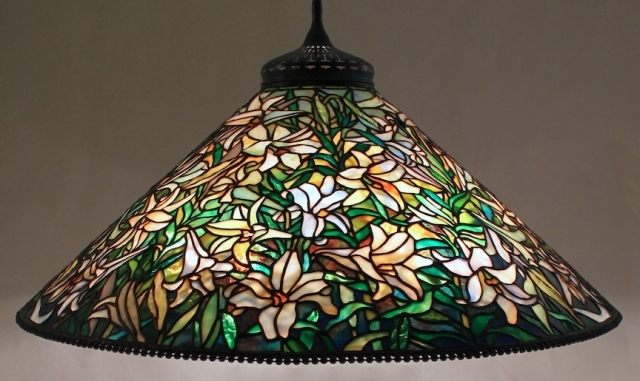 The 28″ Easter Lily shade is a Century Studios original shade design which was conceived by Bill Campbell. 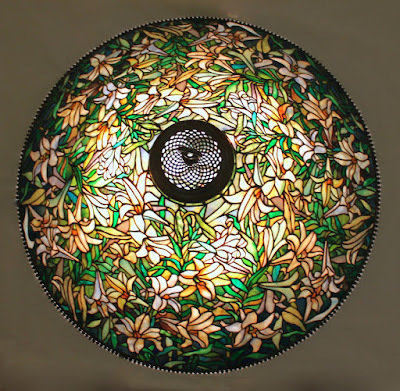 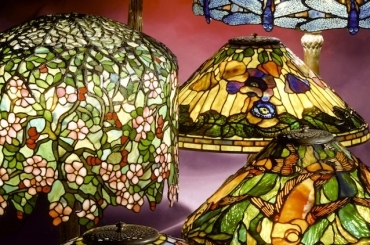 To bring this highly detailed pattern to life, every type of art glass was employed, including streaky, ring mottle, rippled, fibroid, drapery, and fracture/streamer. 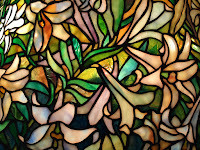 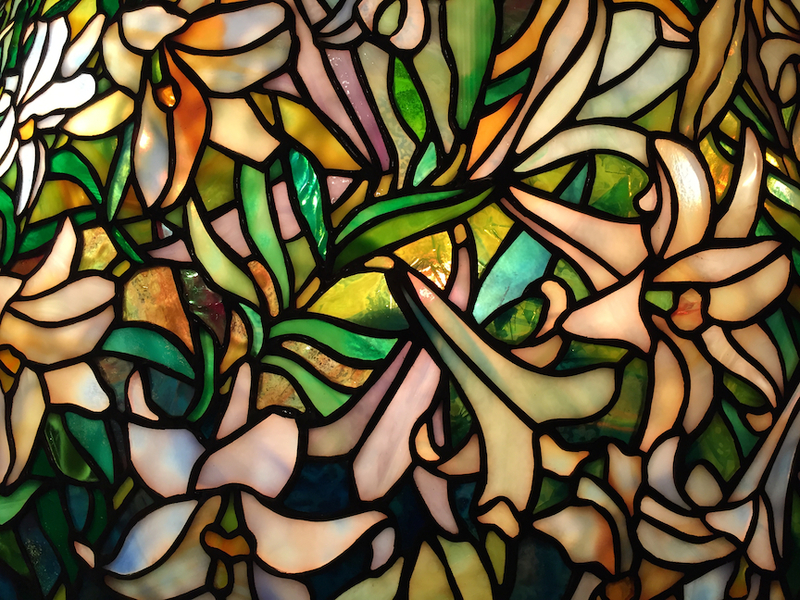 The glasses were painstakingly chosen and the colors blended to create an impressionistic view of a garden of lilies in full bloom. 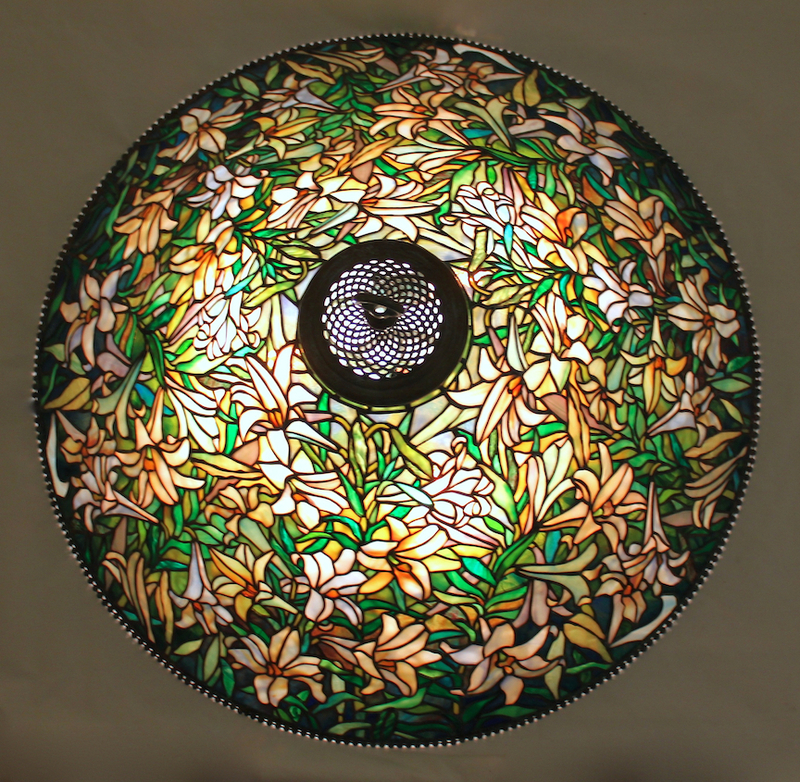 This stunning shade was commissioned in 2016 by a client in Illinois and is in their private collection.